Declaring a state of emergency allows Scott to deploy and use any firefighting forces or resources needed and to help distribute supplies and materials. 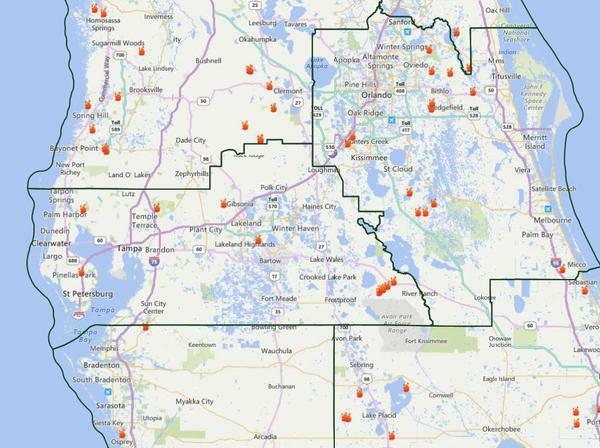 As of noon Tuesday, the Florida Forest Service says more than 100 active wildfires are burning across the state. Twenty-five of them are scorching more than 100 acres each. 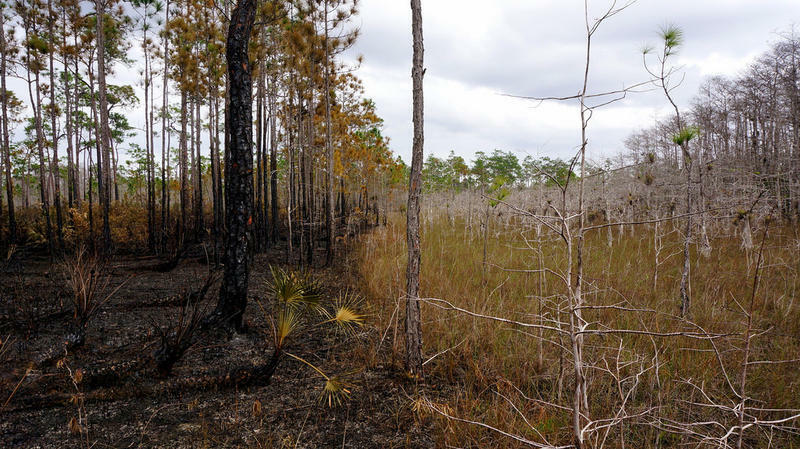 The largest blaze right now is the one known as the Cowbell Fire in the Big Cypress National Preserve, which has spread to more than 8,000 acres about a mile north of Interstate 75. A Hernando County brush fire apparently sparked by lightning on Saturday had widened to 1,100 acres by Monday. Forest Service officials say that is now 90 percent contained. The Suncoast Bike Trail is closed south of State Road 52 and north of the Starkey connection due to the brush fires burning in that area. That section of the trail is barricaded and will be closed until further notice. The dry conditions mark sharp contrast to 2016, when the state was drenched by two hurricanes. Governor Rick Scott issued Executive Order 17-120 declaring a state of emergency in Florida following the recent wildfires across the state and the high potential for increased wildfires to continue this year. Forecasts predict hotter and drier conditions than normal in Florida during the coming months. 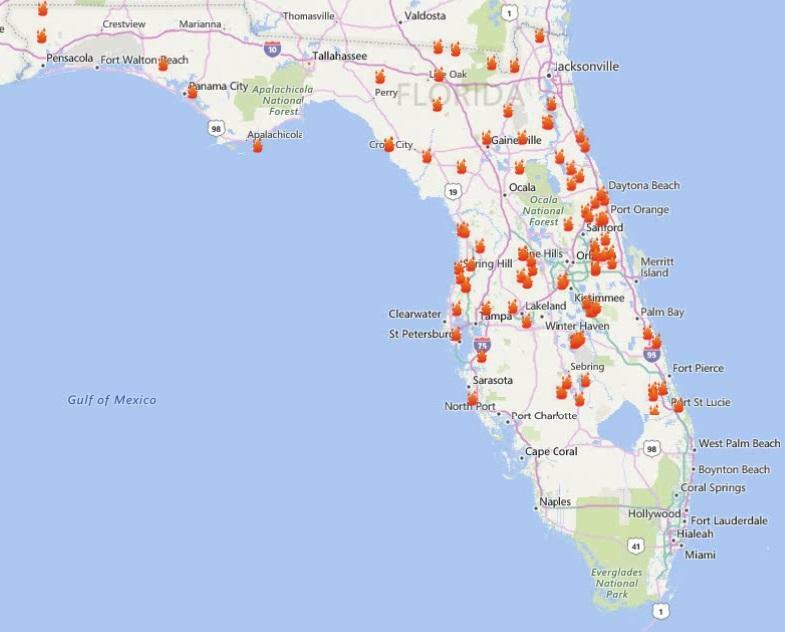 Florida wildfires have already burned 250 percent more acreage during the first three months of 2017 than during the same time period last year. 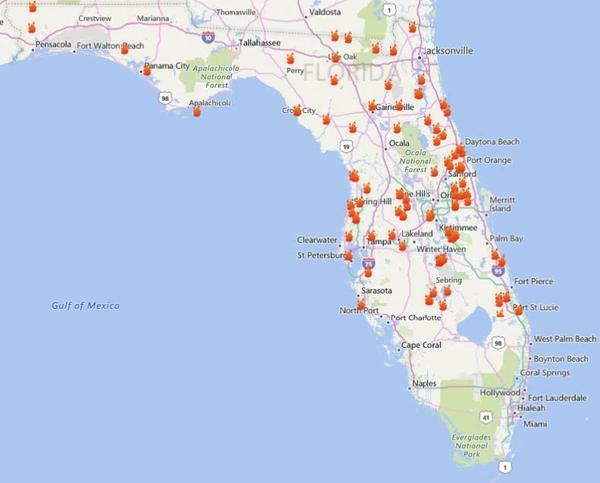 There are currently more than 100 active wildfires across more than 20,000 acres in Florida.